I hope you enjoy reading more about my books and finding out about events I'm doing. If you'd like to get more news from me, you can also sign up to my newsletter. I love hearing from my readers, so do write to me over on Facebook. Your messages always make my day! Memory Lane is special community for the very best saga writing from authors you know and love and new ones we simply can’t wait for you to meet! Sign-up to the Memory Lane newsletter for all Rosie Goodwin news, books and giveaways. If you'd like to send Rosie a message, please feel free to get in touch with us on Memory Lane. You can also find us Rosie Facebook or visit our Memory Lane Facebook page - we'd love to hear from you! Thursday’s child has far to go . . .
Eighteen-year-old Flora Butler is going up in the world. She has the prized position of lady’s maid to young Constance Ogilvie, and is able to provide for her beloved parents and four younger siblings. She has even fallen in love, and though she does not feel quite ready to marry the charming Jamie Branning, her future seems clear. But Flora’s life is turned upside down when her mistress’s father dies in a tragic accident. Connie is forced to move to New York to live with her aunt until she comes of age, and begs Flora to go with her. Flora has never left the country before, and now faces a difficult decision – give up her position, or leave her family behind. But when her beau lets her down, her mind is made up. Wednesday’s child is full of woe . . .
Nessie Carson will do anything to keep her family together after her mother is killed, her father abandons them and they are evicted from their cosy little Nuneaton home. She and her brothers and sisters take on jobs as live-in assistants to a local undertaker. Nessie is soon entwined in the fortunes of her employer, Andre, who is forced to live a lie, and the local doctor – someone she’s attracted to but can never have. But even in the darkest of times, and saddest of places, when you’re as spirited as Nessie Carson, there is light, love and the promise of happiness if you’re only brave enough to search for it . 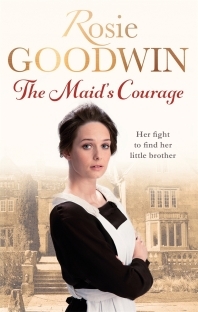 . .
Will delight fans of Dilly Court, Katie Flynn and Catherine Cookson. 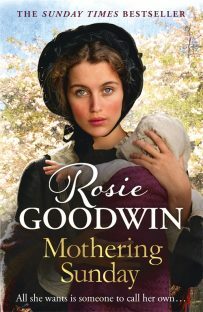 #2 Sunday Times bestselling author Rosie Goodwin is back with this year’s perfect Mother’s Day treat! 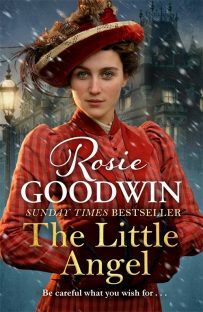 From Sunday Times bestselling author of Mothering Sunday, Rosie Goodwin, comes the next in this heartwarming and heartbreaking Christmas treat. 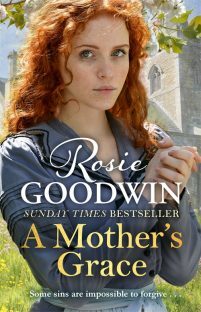 Left on the doorstep of Treetops Children’s Home, young Kitty captures the heart of her guardian, Sunday Branning, who has never been blessed with a child of her own. Kitty brings sunshine and joy wherever she goes, and grows into a beguiling and favoured young girl. But then Kitty is summoned to live in London with her birth mother. But those now close to Kitty are not what they seem, and her comforting old home at Treetops starts to feel very far away. If Kitty is to have any chance of happiness, this little angel must protect herself from devils in disguise . . . and before it’s too late. Fourteen-year-old Sunday Small has never lived outside the Nuneaton workhouse. The regime is cruel, and if it weren’t for Miss Beau – who comes in every week to teach the children their letters – and her young friend Daisy, Sunday’s life wouldn’t be worth living. And now she’s attracted the unwelcome attention of the workhouse master. 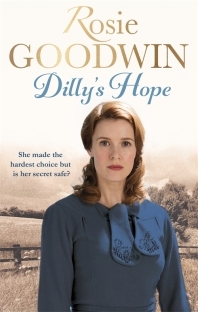 With no choice but to leave behind everything she knows, Sunday strikes out on her own to make her fortune and to fulfil her promise to come back for Daisy. And, secretly she dreams of finding the long-lost mother who gave her away. But she’s about to discover that, try as she might to escape, the brutal world of the workhouse will not let her go without a fight . . . The heartwrenching and uplifiting tale of one girl’s courage and spirit as she battles to save her family in the face of enormous odds. Ginny is devastated by the death of her mother, her two little brothers and her sister – but her father is destroyed by the loss. After a series of drunken mistakes, her father is imprisoned for murder, and Ginny and her little brother Charlie lose the only home they’ve ever known. Worse is to come. Charlie is only eight years old and has a weak chest. 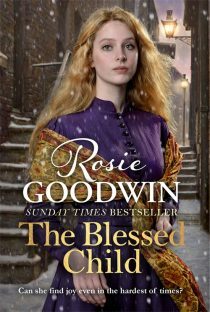 Ginny is determined to keep him with her, but he is taken to the workhouse before she has a chance to save him. Lonely and desperate, Ginny wanders the streets of Nuneaton. She finds honest work at the pie shop – until she is forced to fight off the unwanted advances of the baker and she’s out on the streets. It’s only then that she remembers her father’s final words – the housekeeper of Lamp Hill Hall will help her. Soon Ginny is employed as a laundry maid, the very lowest rung of the ladder. Her beauty and grace mean that she catches the eye of the house’s mistress, who raises Ginny up to play lady’s maid to the difficult and demanding Miss Diana. All Ginny wants is to find her brother – and it will take all her strength of heart and courage to bring her family together again. 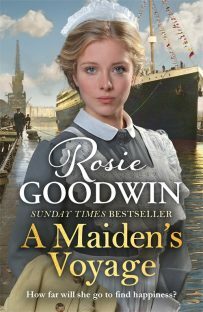 The Great War is over and Dilly has made a new life for herself – but can she lay the ghosts of the past to rest? 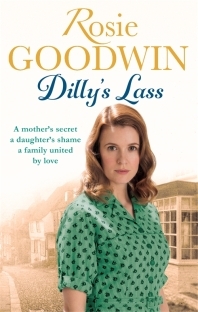 Find out in the final instalment of Rosie Goodwin’s wonderful Dilly’s Story trilogy. Hardworking widow Dilly Carey has struggled out of poverty to make a successful life for herself. Surrounded by her children and grandchildren, Dilly should be content, but she is still troubled by the one secret she must never share. Olivia, the daughter Dilly gave away at birth, cannot find out the real truth about her parentage. It’s time for Dilly to make her peace with the choice that she was forced to make. As Dilly finds the strength and courage to visit her son’s grave on the battlefields of the Great War, will she also find a way to a new happiness – and a new love? A mother fights to re-unite her family in the aftermath of the first world war . 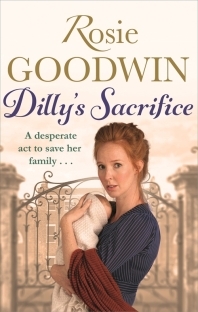 . .
Years ago Dilly made the devastating decision to give her baby daughter to wealthy local family, the Farthings. She is still living with the consequences of her choice when the daughter she gave away all those years ago turns up on Dilly’s doorstep, with a baby girl in tow, begging for help. Olivia has a secret she only feels safe telling Dilly. Sworn to secrecy, Dilly agrees to help, delighted to be spending time with her new granddaughter and daughter. She can’t tell Max Farthing, the man who took in Olivia all those years ago and who Dilly has feelings for. For Max has problems of his own: he’s married to Camilla, who has lost leave of her senses. Could Dilly and Max ever come together? A desperate act to save her family . . .
Dilly is devastated: with her husband unable to work and four children already at home, they cannot afford to feed their new-born baby. Heartbroken, she heads into the night to deliver her baby girl to the Farthing family at the big house. Having just lost their own daughter to measles, the Farthings adopt the baby and offer Dilly a lifeline: a job as a maid. This act of desperation will change the lives of both families irrevocably – and the onset of WWI even more so. Sons are taken, love is declared, hearts are broken and terrible acts are committed. Through it all, Dilly does everything she can to preserve her family. But when the chance for true love finally comes, will she choose family over her own happiness?